This Boost Hells Fury comes with a chillum and a glass bowl with a green handle. 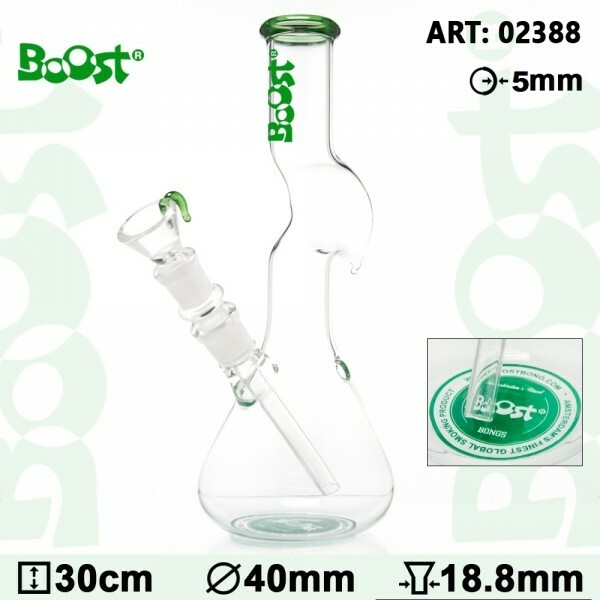 It is made of a borosilicate glass shaped in the form of beaker base tube, which ends up in a comfortable green mouthpiece. It has also a kickhole for offfering you an alternative toke.